Back when I was pregnant with my son I had so much fun picking out furniture for his nursery. 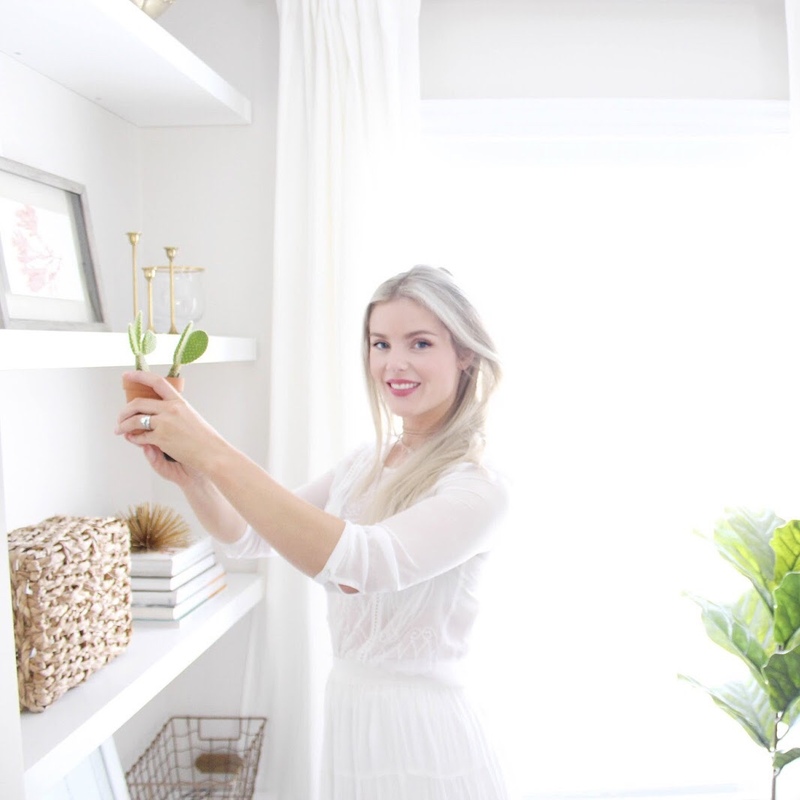 I fell in love with the clean lines of the Ikea Hemnes dresser however, due to the fact we were living in a small town in NFLD I wasn't able to have the products shipped there. Basically my only option was to purchase something from Sears. There was a small outlet in the town and I could have the furniture shipped there. Now this really limited my choices but I ended up going with a Storkcraft dresser that I would use as a changer as well. Now the dresser arrived and I bought new hardware for it as I wasn't a fan of the original pine knobs. Although it has been a functional piece for the past couple years, I have never really been in love with it. So I decided it was time to switch it up and try to cater it more to my taste. I love the look of two-toned furniture, it has a freshness to it and gives lots of options for mixing in other pieces of dark or light furniture. So it was decided...I was going to two-tone the dresser. 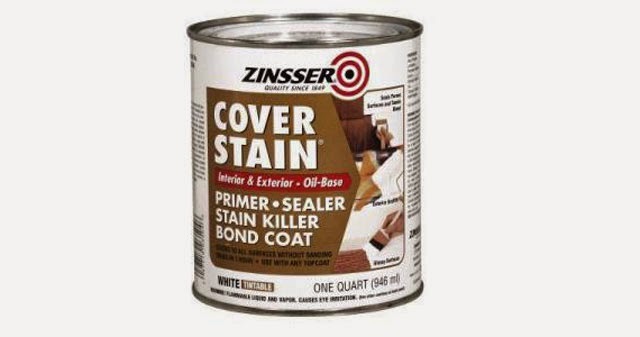 Then I primed the piece with Zinssers Cover Stain. This stuff is seriously amazing and it's my go to primer with a lot of my projects. 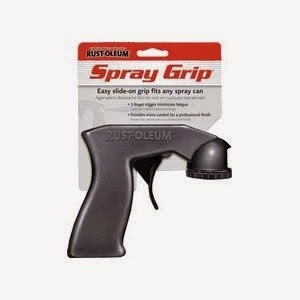 It sticks to pretty much everything and is a really great base for your paint. I did two coats of primer making sure I got the top and corners really well. 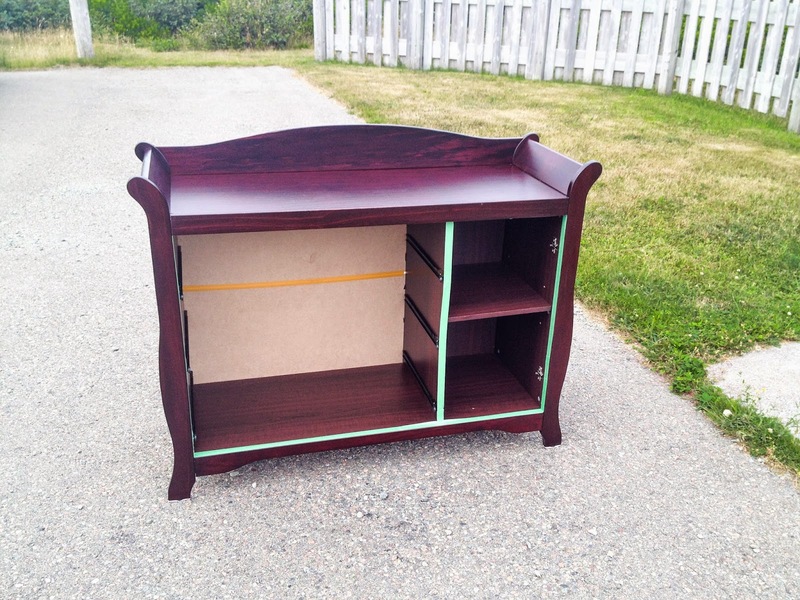 I know this dresser will take some wear and tear from my toddler. It's a game changer. 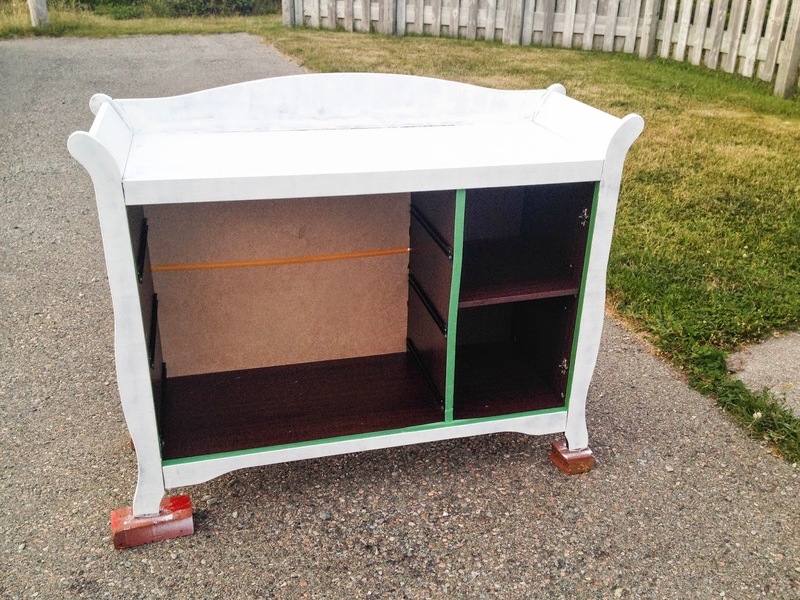 It seriously takes spray painting to the next level and really makes such a difference when you are tackling a bigger piece of furniture! So after painting I let all that set for a day and a half (I'm not the most patient person when it comes to projects). 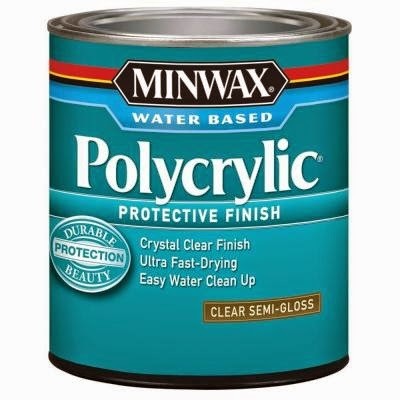 Once it was dry I went in and did two coats of Polycrylic in semi-gloss. Now after this I would say is the hardest part....waiting. Waiting for everything to cure and for the dresser to be aired out enough to put back in my sons room. I waited about a week and then moved it back in and loved the results! 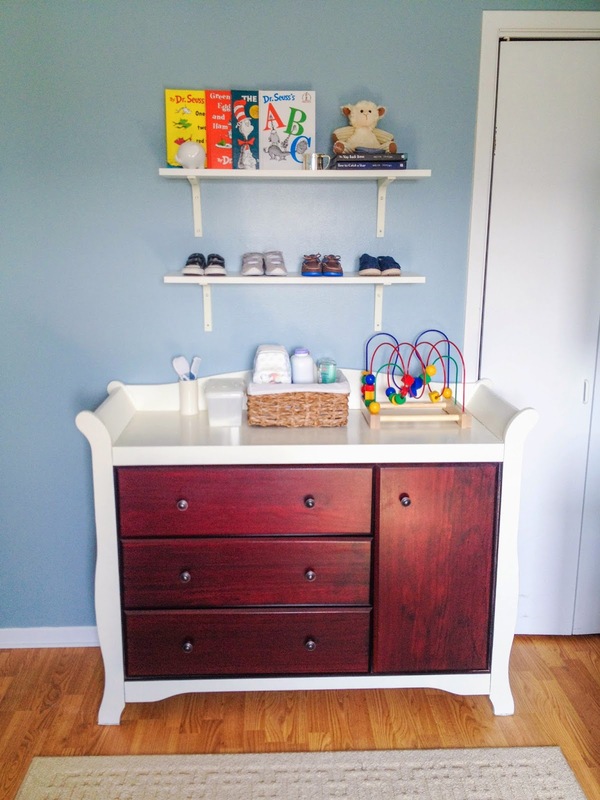 It gave a plain old dresser a fresh look and brightened things up. I think its going to work perfectly with another up coming project I will be doing in his room soon so check back for that!